The Moisture Management technology keeps your knees cool and dry. The combination of nylon and spandex makes these pads highly stretchable. You can put them over or under clothing and they will sit just as tight. The padding is really thick, able to absorb most of the collision damage. The volume and thickness of the padding decrease over time. McDavid 6440 pads are just as much knee pads as they are elbow and shin pads. They're great for all contact sports and the wide range of sizes will allow you to choose the most fitting model. 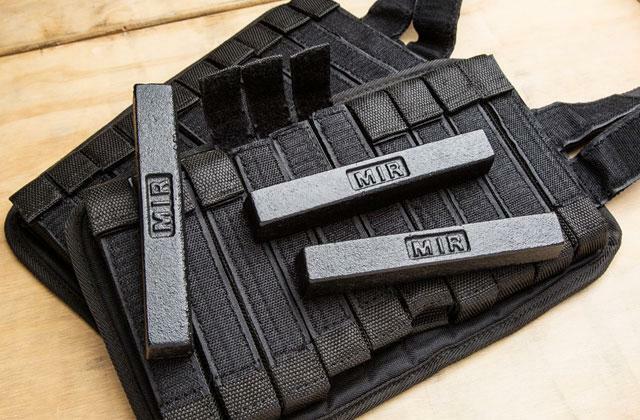 Functional and versatile, these pads will give you the opportunity to edge out your competition. The D.F. CUT™ technology makes the pads just as effective as the next model but with greater freedom of movement. 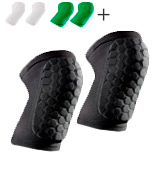 The 6-inch length of the sleeve gives you complete patella, lateral, and medial protection. With VS-1™ extra padding in the high-impact zones, the more vulnerable parts of your knees get an extra layer of protection. The logo wears off relatively quickly. Mizuno LR6 pads are probably the best volleyball knee pads on our list for liberos and definitely one of the better models for wing spikers. The combination of protection and agility that they give is second to none. They don't slide down nor are they too tight. Instead of the usual bulky device with lots of straps, bands, and clips, the pads incorporate a simplified outer design with a low profile that gives them a minimalistic and streamlined look. Dri-Fit™ liner makes the pads feel more snug and comfortable. Plus, it keeps your knees dry. Might be a little difficult to figure out the right size. 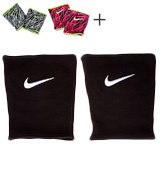 Nike 1378126-P volleyball knee pads are pretty great. 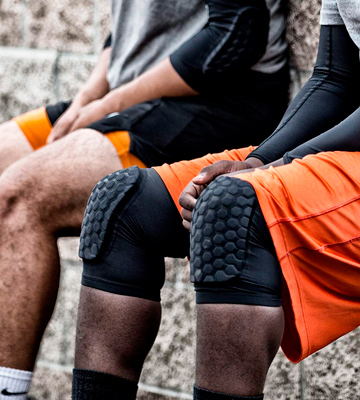 They will protect your knees without slowing you down. 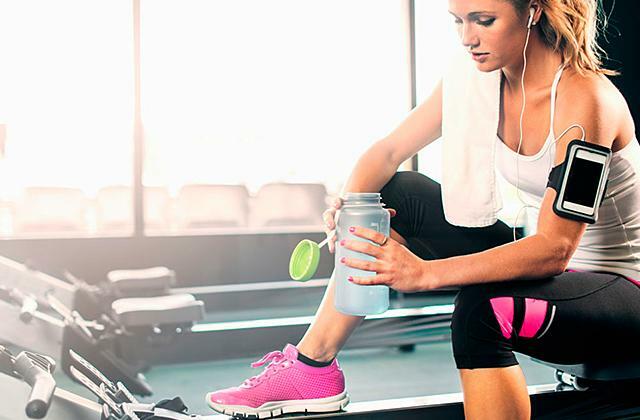 Aside from giving you a layer of physical protection, these things will also reduce the chances of ligament rupture and other similar injuries. Comprised of nylon, polyester, and bamboo fibers, the pads are stretchable, durable, and comfortable. Bamboo keeps your knees warm and dry, so you won't have to deal with the usual sweat build-up under the pads. The high-density foam padding layer is really long. The rubber band behind the knee may press a little. 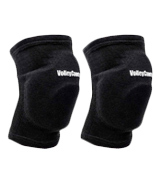 VolleyCountry volleyball knee pads will keep your level of comfort high and your knees protected against the hardwood. This is a great pair for taller people with professional aspirations or simply those who enjoy an occasional recreational match. The only pads on this list that come in white. The low-profile sleeve, along with the partial nylon composition, makes the pads suitable for all sizes between 12 and 18 inches. 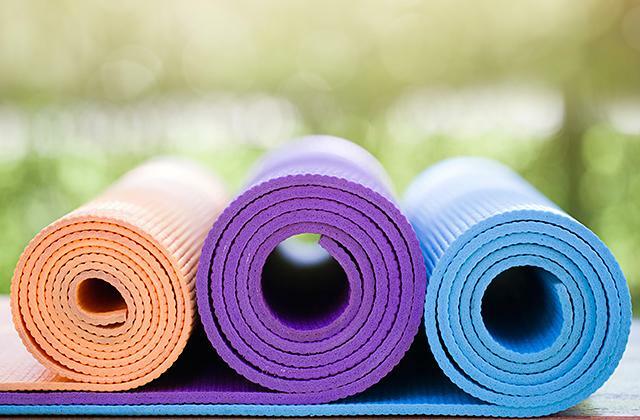 Cotton and rubber incorporate odor-eliminating anti-microbial properties. The 43% cotton composition means that the pads don't stretch too much and maintain its original form. The stitching is passable at best. 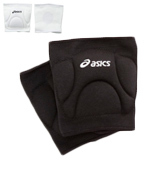 You don't have to be your team's ace to appreciate and utilize ASICS Ace volleyball knee pads. These things are as versatile as knee pads come. They fit middle blockers and setters about as well as wing spikers and even liberos. The biggest advantage that McDavid 6440 has over its competition is just how versatile it is. The model comes in every size. 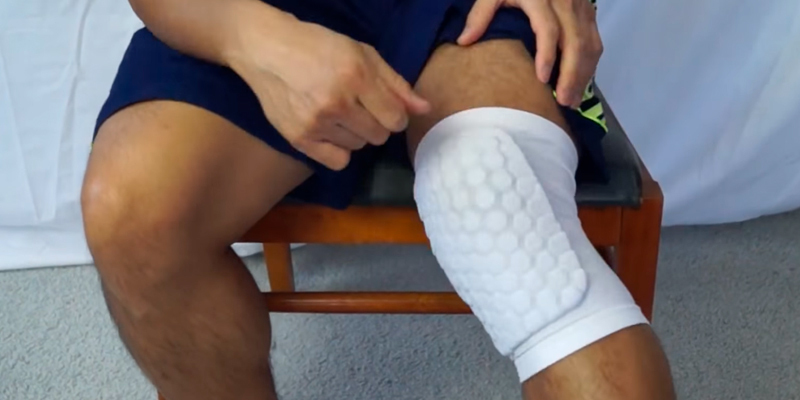 Unlike most other knee pads, this thing fits your elbows and your shins just as well. You can buy a few of these, hop on a snowboard, and shred the mountain. 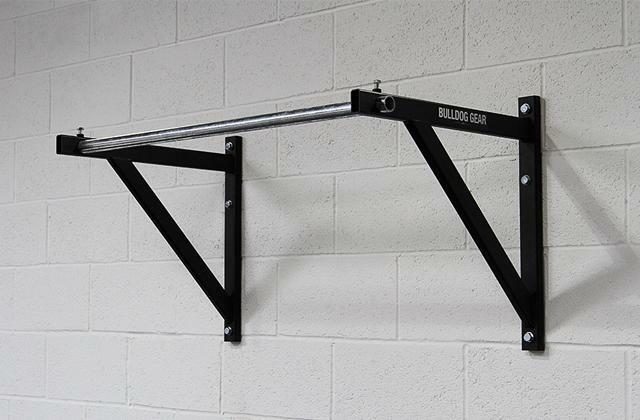 The smallest models are suitable for kids, while the larger ones will fit an adult of any frame and height. Incorporating something that the company refers to as Hex technology, the pads use closed-cell foam padding to give any athlete in any collision sport the advantage of confidence that stems from protection and durability of these things. Protective properties aside, there's also the company's Moisture Management technology that keeps your knees cool and dry, providing you with the comfort necessary to be able to give it your all. Made of nylon and spandex, these pads are highly stretchable, which is part of the reason you can put them onto virtually any part of your body. The aforementioned foam padding is really thick, able to absorb most of the collision damage. That said, it does lose its volume and thickness over time, making these pads slightly less long-lasting than other entries on this list. To sum it all up, McDavid 6440 pads are just as much knee pads as they are elbow and shin pads. They're great for all contact sports and the wide range of sizes will allow you to choose the most fitting model. Functional and versatile, these pads will give you the opportunity to edge out your competition. Mizuno LR6 pads are great for all positions but especially wing spikers and liberos. The level of protection they offer is impressive on its own but we will get to that in a moment. More important is how excellent these things are at protecting your knees without sacrificing agility in return. The biggest key to that is the D.F. 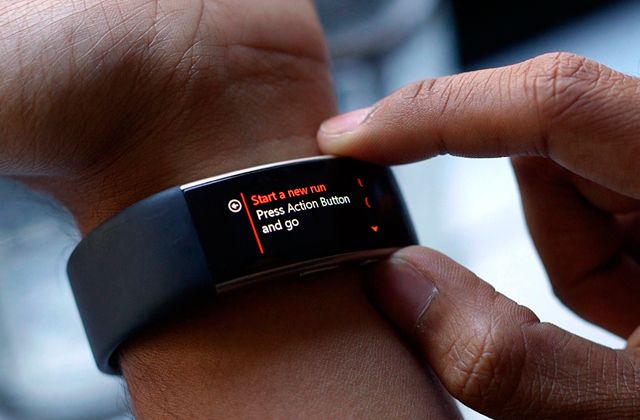 CUT™ technology. A complicated name but, without going into technical details, it's what allowed the people behind these pads to make them just as effective as the next model but with greater freedom of movement. But, again, it isn't just about the mobility either. 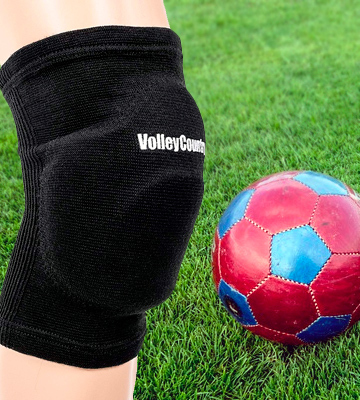 Thanks to the 6-inch length of the sleeve, these volleyball knee pads give you complete patella, lateral, and medial protection. 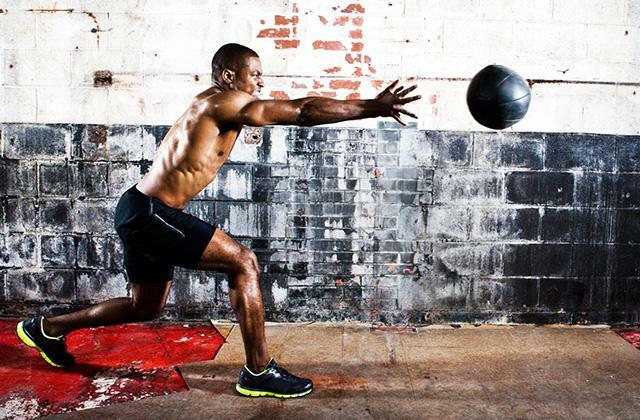 Of course, not every part of your knee is created equal. Some are more susceptible to injury. Some, more often than not, receive the bulk of the damage. With VS-1™ extra padding in the high-impact zones, you'll be able to provide an extra layer of protection for these parts. Honestly, the only complaint we have is that the logo wears off relatively quickly, so the pads sort of lose their attractive appearance. But that's hardly a big deal as these things aren't designed to be attractive in the first place. Again, Mizuno LR6 pads are probably the best volleyball knee pads on our list for liberos and definitely one of the better models for wing spikers. The combination of protection and agility that they give is second to none. Nike Essentials line is called that for a reason. 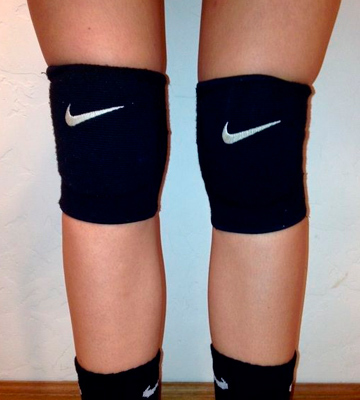 The reason is these things are essential for playing volleyball if you don't feel like doing some serious damage to your knees. Knee injuries are no joke. Fortunately, with Nike 1378126-P, you should be able to avoid them. That said, Nike has always been a company that's just as much about aesthetics as it is about performance and efficiency. And, as far as aesthetics are concerned, there's hardly anything to complain about here. 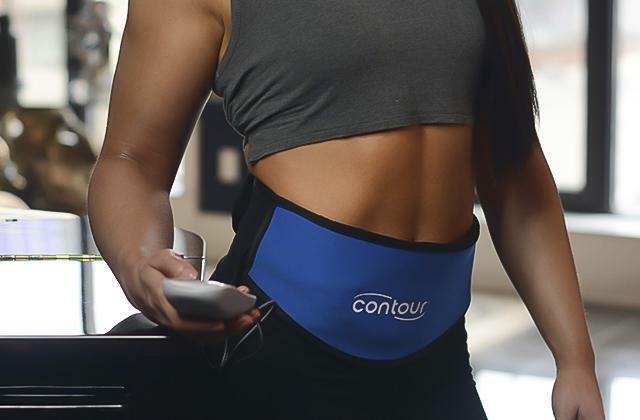 Instead of the usual bulky device with lots of straps, bands, and clips, the pads incorporate a simplified outer design with a low-profile that gives them a minimalistic and streamlined look. In other words, they look nice enough without attracting too much attention to themselves and that's the way these things ought to look. Plus, they come in a variety of colors, from white to pink. Now all that's left is protection and performance. When it comes to the former, the pads are fitted with high-density foam padding. It gives your knees just enough protection without weighing them down and affecting your overall agility. In terms of performance, there's the Dri-Fit™ liner, an improvement over the company's previous liner that is a little more comfortable and a lot more snug. Bottom line, Nike 1378126-P leave virtually no room for complaints. The minimalistic design protects your knees without slowing you down. 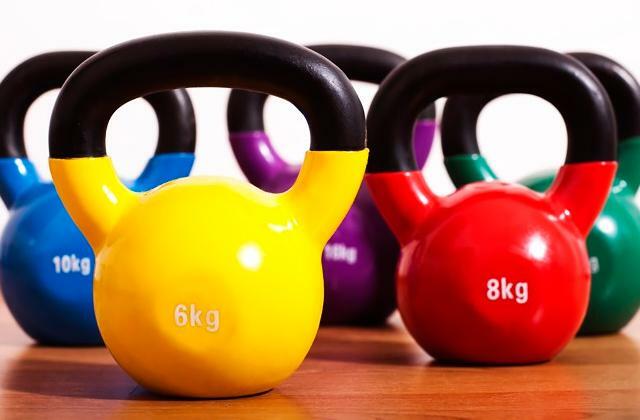 Aside from giving you a layer of physical protection, these things will also reduce the chances of ligament rupture and other similar injuries. The biggest strength of these pads from VolleyCountry lies with its combination of materials. Comprised of nylon, polyester, and bamboo fibers, the pads are stretchable, durable, and comfortable. The comfortable part mostly stems from the said bamboo fibers. 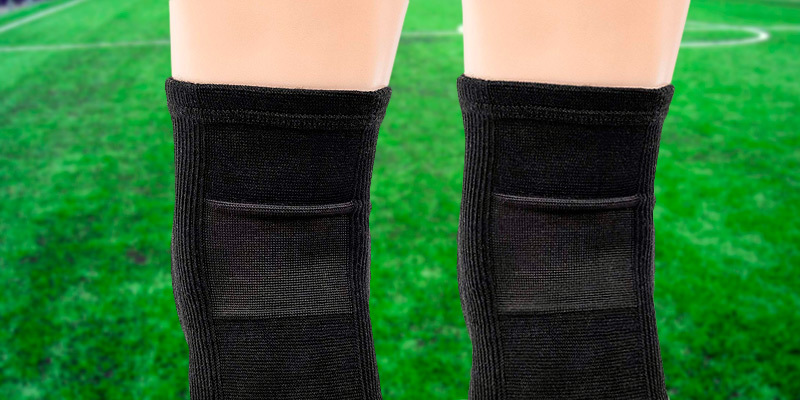 They keep your knees warm and dry, so you won't have to deal with the usual sweat build-up under the pads. For the most part, this is a product for teens and adults. The sizes range from Medium (12" - 14") to XLarge (17" - 19"), so you won't be able to buy these for your kids. That said, you will be able to find a pair of yourself even if you happen to be on the taller side. What we really like about these pads is just how long the padding layer is. That length is often the main thing that separates subpar pads from professional models as the latter keep the entirety of your knee protected and not just a part of it. The nylon part that we mentioned earlier in this review makes the pads really stretchable. And, again, the pads are mostly comfortable, though the upper rubber band behind the knee may press a little. 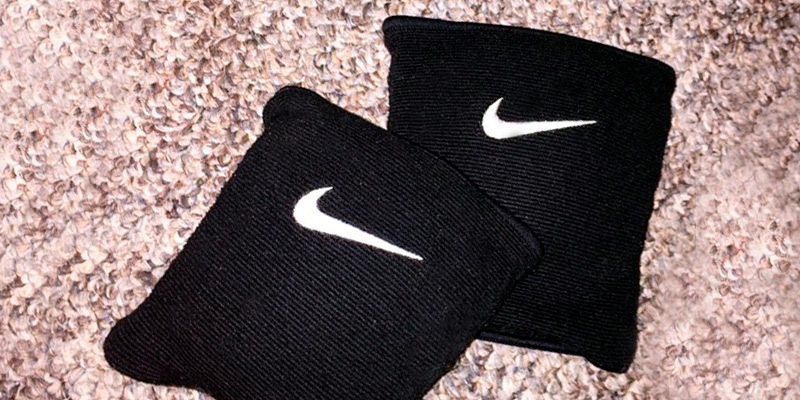 But, with this type of knee pads, that's basically unavoidable. 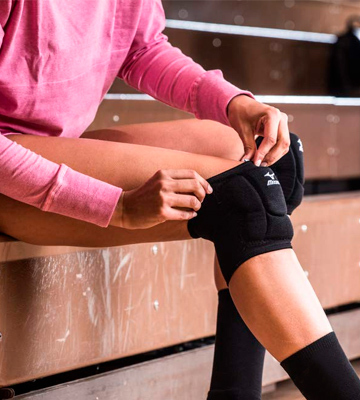 Taking all of the above into account, VolleyCountry volleyball knee pads will keep your level of comfort high and your knees protected against the hardwood. This is a great pair for taller people with professional aspirations or simply those who enjoy an occasional recreational match. First and foremost, ASICS Ace are the only pads on this list and one of the very few options on the market that are available in white too. As you'd imagine, it doesn't have any effect on their functionality, effectiveness, or comfort. But, with white pads, you'll be able to stand out from the otherwise unremarkable black crowd. Plus, they'd a good fit for people whose team sports a white uniform. As for the actual design, what we have here are a pair of low-profile pads. The said low-profile sleeve, along with the partial nylon composition, makes the pads suitable for all sizes between 12 and 18 inches. For the most part, we like pads like that, especially when they incorporate cotton and rubber with their odor-eliminating anti-microbial properties. Plus, the 43% cotton composition means that the pads don't stretch too much and maintain its original form. The only issue we have with the particular product is that the stitching job is passable at best. The dual-density padding, on the other hand, is far above passable. It keeps up with every play and doesn't really lose its volume or thickness with its time. 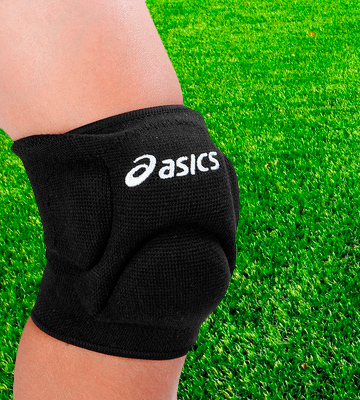 All in all, you don't have to be your team's ace to appreciate and utilize ASICS Ace volleyball knee pads. These things are as versatile as knee pads come. They fit middle blockers and setters about as well as wing spikers and even liberos. 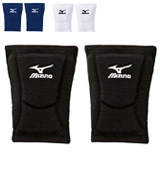 What Are Volleyball Knee Pads? Volleyball is a peculiar sport, isn't it? On one hand, you and your opponents are separated by the net, so you don't really come in contact. So you'd think that, as far as contact sports are concerned, volleyball is about as safe as it gets. But that's not really the case. Sure, the opposing team is not going to directly hurt you. But you will fall. A lot. Mostly of your own volition. Nevertheless, it doesn't matter whether you're a wing spiker, middle blocker, setter, or a libero, your knees are going to receive serious damage during a game of volleyball unless you wear volleyball knee pads. The pads are essentially a few pieces of cloth and some sort of padding stitched together, hardly a convoluted contraption. But their importance and value cannot be overestimated. Even the most subpar knee pads will reduce or downright negate the fall damage to your knees. And these joints are one of the most vulnerable and important parts of your body in and of themselves, even without taking volleyball into the equation. So, instead of risking your health, we would recommend reading our reviews and grabbing the right pair of pads. Don't care for volleyball? Well, some of these pads are suitable for other purposes too. If you don't like them, you could always check out our general review of knee pads. Contact sports aren't your thing? Prefer to travel on 2 wheels? That's fine too, just don't forget to grab a bike helmet.